This last month has been a journey. A journey of how to save more money and finding activities I can do with my family on a very strict budget. I consider it a challenge to find ways to spend time together and spend as little as money as possible. You are reading this right. I have been cutting my own bangs now for years in between hair cuts. It was a way to help make my haircut last longer without paying more money out. I had already started cutting my families hair years ago but never ventured into cutting my own hair until watching a few youtube videos and deciding it was definitely something I could do. The only reason I ever stayed away from making my own bread is because two people in my family do not like the thick crust on homemade bread. This month I invested in a Pullman Pan and that changed everything. I finally had the proper pan I needed to make bread for my family so everyone would like it. The initial investment of the pan was a bit but it outweighs the savings I will get in just a month alone. Not to mention knowing everything that is in what we are eating. We did a room purge on our daughter's room and the toys and things she no longer wants have become extra money. Seriously we have made over $200 by just selling her things. I do not have a green thumb but I want to try to grow different leaf lettuces, tomatoes, and beans, etc. I am going to start with the easy to grow items and get them going this year to see how well I do before I invest in the garden. I decided to soak some Navy Beans and make some beans for some family meals instead of buying canned beans. The instant pot I have really makes baking beans very easy to do. All I have to do is soak them over night and start the process in the morning. At the end of the day, I have enough beans for a few meals for the week. This is the one that takes the longest because my furbaby is still very much a puppy and she loves to play more than she loves to sit still for a haircut. I work at it off and on for a week before she is finally done with her grooming. Maybe not quite a week but definitely a few days. This month I needed to color my hair again because the grey is taking over my head. Usually I could care less but with the grey but I have a few things to attend this month that I need to make sure the grey is away for. 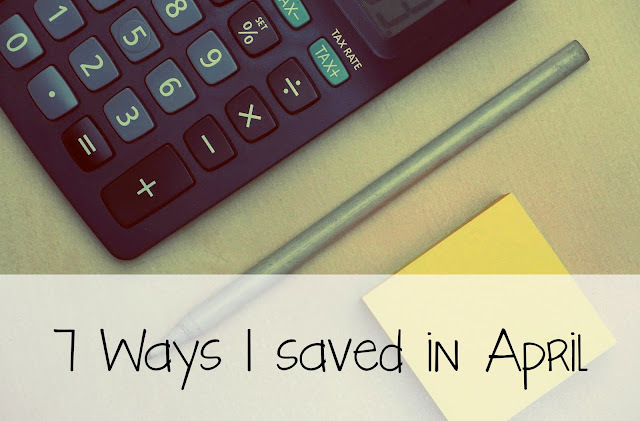 How did you save this month?